Developed by Dean Benstead, a graduate RMIT University in Melbourne, the O2 Pursuit is a pretty extraordinary bike. With a range of about 62 miles per ‘tank’ and top speeds of 87 mph, the modified Yamaha WR250R is powered entirely by compressed air. A canister with a compression of 3000 PSI, the same as those used by scuba divers, appears to power the bike as effectively as many electric motors—and Benstead’s technology has been nominated for a James Dyson Award. The RMIT graduate isn’t the only one experimenting with this technology; multiple companies have been working on air-powered car tech for years. The most prominent recent case—the AirPod by Tata—chugs along at a maximum speed of 47 mph, but the manufacturers believe that the cleaner-tech car could revolutionize India’s streets. There is, as Fast Co.Exist and Grist point out, a fairly major pitfall to the idea of air-powered bikes as a sustainable future for transport: It takes a certain amount of power to compress air as densely as is necessary for scuba diving or, say, bike-propelling—and there’s no current functional infrastructure for charging a compressed air. As a mechanical engineering graduate (although not working in the profession), and very experienced auto mechanic with several engine builds.. something does not add up here. While the mechanics work, and the top speed is possible because why not, the RANGE is screams out of this world false. If you told me the range was 8.7 miles not 87, I'd STILL be impressed as hell it made it all 8.7 miles at anything but a crawling pace just to prove a point. While writing this I googled and found a page of a bunch of incredibly nerdy engineers actually discussing the potential energy in a scuba tank, larger than this one, and how large a tank would have to be to produce a certain amount of power. Lets just say this entire article is a click bait scam. Combine this with a solar charger and you're totally set. Developed by Dean Benstead, a graduate RMIT University in Melbourne, the O2 Pursuit is a pretty extraordinary bike. 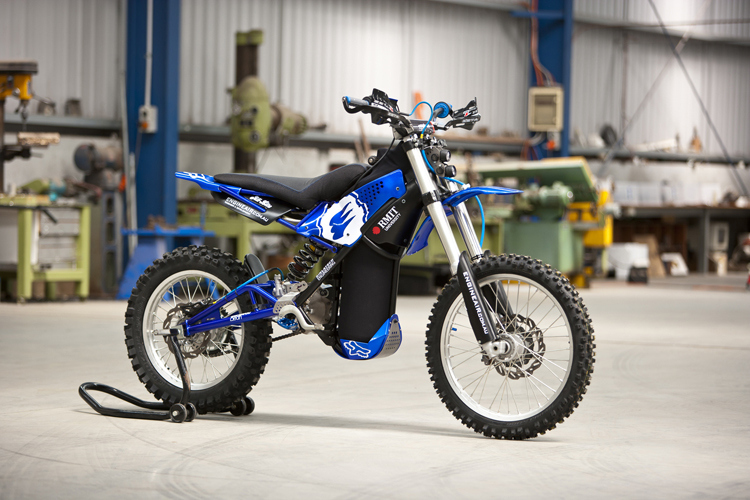 With a range of about 62 miles per 'tank' and top speeds of 87 mph, the modified Yamaha WR250R is powered entirely by compressed air. A canister with a compression of 3000 PSI, the same as those used by scuba divers, appears to power the bike as effectively as many electric motors—and Benstead's technology has been nominated for a James Dyson Award.